good prompt service ordered on late sunday came on tuesday could not use it till the weekend anyway .. The Garrett Ace 150 is designed to be easy to use and offers high performance in a simple 'set up and go' package. 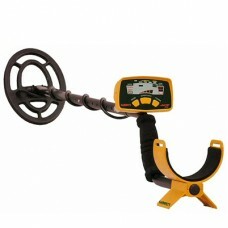 The Ace 150 has three different search modes; all metal, jewellery or coins so it can be custom set for a variety of different metal detecting situations. All search modes offer great depth, accurate target ID & discrimination. The Ace 150 comes with the all new PROformance Rhino coil 6.5” x 9”. To help you get the best from your Ace 150 straight away an instructional DVD is supplied free of charge. Versatility can be added to the Garrett Ace 150 with interchangeable Garrett search coils including the 9" X 12" PROformance coil, 8 x11" DD coil and the 4" Sniper coil.